When was the last time you pressed the pause button on all the distractions in your life? A time just for you to completely reboot your health and come back to the present moment. This retreat is for you if you have any digestive issues | Want to learn how to break a sugar addiction | Optimise your health and elevate your moods | Sleep deeper and wake up feeling refreshed | Practise yoga and immerse yourself in soul enriching nature | Detox your mind from negative beliefs | Nourish your body with whole & healing plant based foods | Have more zest and energy throughout the day | Soak up the sunshine and drench yourself in vitamin D | Learn new tools on how to listen to your own intuition and trust your gut | Leave with life long and supportive friends! Leave all your stresses behind and come and join us for a serene yoga + detox-heatlh coaching retreat at the foot of the Sierra Nevada mountains in Spain. Skin replenishing workshop - learn about the gut/skin connection, make your own nourishing facemasks and allow your skin to soak up the power of nature. 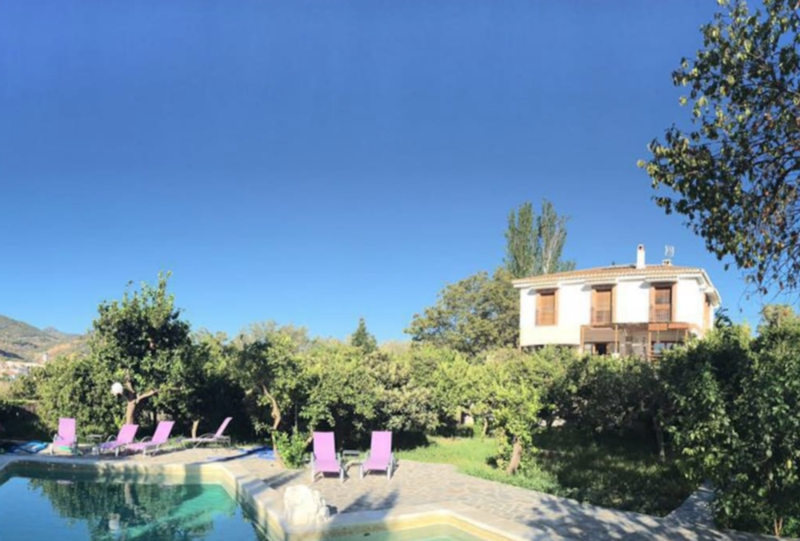 You’ll be staying in a charming, sunny villa on the outskirts of an Andalusian village, with a private pool and beautiful sun drenched terraces. Here you will be able to admire incredible views of the lake and the valley. You will enjoy your spacious room with a view of either the lake or our pretty garden. There will be plenty of space to relax in the lounge and around the swimming pool where you will be able to soak up the sun and replenish your vitamin D in between yoga sessions. You’ll start the day with a dynamic, energising vinyasa flow yoga class on the sunny terrace that will warm up your body and get you glowing from the inside out for the whole day. The class will be followed by a guided meditation session and an exploration into various breathing techniques (pranayama). You will be guided into a deep relaxation that will allow you to re-connect with yourself and help you gain an inner sense of peace, calm and contentment. In the afternoon yoga sessions you will immerse yourself in a deeply calming and restorative yoga class. The class will incorporate restorative and yin yoga practise as well as some techniques of myofascial release to relax the muscles. You’ll float out of these classes feeling revitalised and relaxed. During the retreat you will have a chance to participate in two optional workshop sessions: acro-yoga - where we will experiment with partner yoga acrobatics and an inversion workshop where you will learn the basics around arm balancing postures and going up side down. In the workshops you will be given full support and will work in pairs or groups to spot each other. During the retreat you will take part in group workshops and talks as well as have the unique opportunity for a 1:2:1 session with Mellissa Laycy - an Integrative Nutrition Health Coach, who will facilitate a deep exploration into your health and well being. She will help you to uncover any potential hidden blocks that are holding you back from achieving your goals not only with your health but in your relationships and career, guiding you to answer your inner calling where you can uncover your unique gifts and live your purpose. Food is such a big part of life and it affects all aspects of the way we feel, the way we look and the way we think. To support your daily yoga practice and nourish your body, during the retreat you will enjoy two delicious plant based meals each day. After your morning yoga and meditation session you will enjoy a healthy breakfast, lovingly created using fresh fruits, plant based yogurts, a selection of optional home made chia jams, fresh orange juice plus superfood plant based smoothies. This nourishing start to the day, enriched with vitamins and minerals is a great way to replenish the body after your dynamic morning yoga practice. Evening meals will consist of hot and cold plant based meals plus a few delicious (guilt free) desserts. During the retreat you will explore the benefits of a whole foods diet focused on healing the gut and lowering inflammation in the body. You will learn about the magical power of various superfoods such as goji berries, cacao, maca, hemp seeds, chia seeds, shilajit, spirulina, chlorella, ashwaganda and other ancient herbs all in support of your health. We will share with you our tips and creative ways about how to incorporate these nutrient powerhouses into your daily routine and provide you with recipes for all the meals so that you will be able to recreate these at home. An area of outstanding natural beauty, the Lecrin Valley is famous for its verdant landscape (due to the melt-water run off from the Sierra Nevada), its citrus groves, its walks, birdlife and amazing spring colours. Oranges, lemons, figs, pomegranates (in Spanish – granadas) and cactus line the roadsides. There will be plenty of time to explore the valley and you will be able to take part in the optional group activities. You will have your pick of wonderful world class walks right on your doorstep. With spectacular scenery, you can hike along river valleys, over meadows, on medieval mule paths and enjoy spectacular views of the Sierra Nevada’s snow-capped peaks. 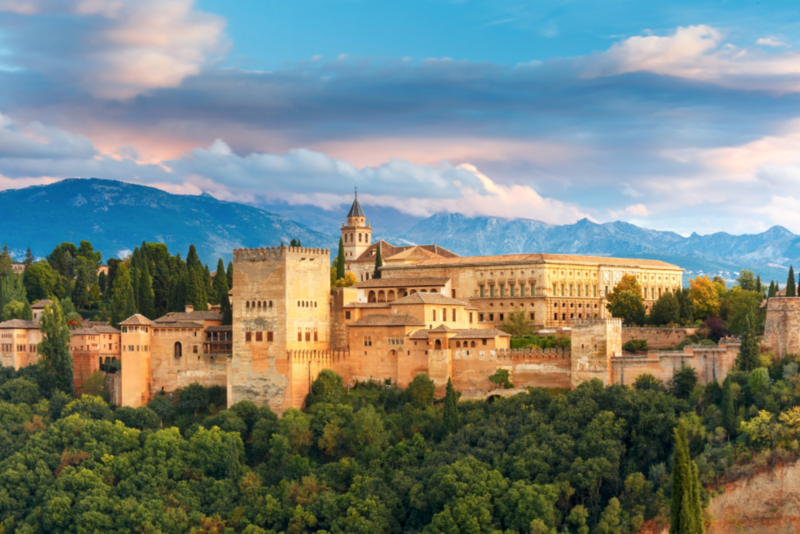 On one of the days we will adventure further afield exploring the city of Granada, with the "must see", 100 year old Alhambra palace, some time for shopping in the Moroccan quarter and maybe some Spanish tapas. We have several price options depending on the room you will choose. 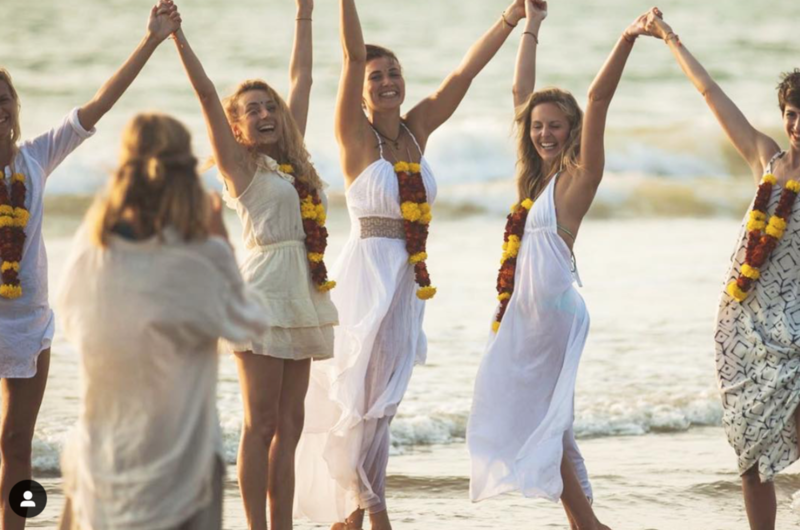 Prices include five nights of accommodation, two meals per day plus all yoga sessions and workshops. Prices are per person and exclude flights, transportation to/from the villa and other activities/excursions. Secure your space with just £100 deposit - the remaining balance can be paid 60 days before the retreat. Please note that the deposit is non-refundable in case of cancellations. Flights to and from London/Bournemouth are between £40-£80 return! Jenny's yoga journey began back in 2009 as a cure to the back pain caused by scoliosis which she developed while competing as a professional windsurfer. Jenny was amazed how positively her body responded to yoga and what started with simple stretching quickly turned into a regular practice. After 8 years of regular practice in 2016 Jenny traveled to India and completed a 200h yoga intensive Ashtanga/Vinyasa teacher training at Sampoorna Yoga Institute in India. Jenny now teaches weekly classes around Bournemouth, UK. Her classes are dynamic and combine creative sequencing which allow you to challenge yourself on the mat! During the classes Jenny encourages you to try new things and go outside your comfort zone but also grow and develop yourself spiritually off the mat. Jenny's other passion is healthy eating and nutrition. She organises Yoga + Smoothies Social events where yogis are able to enjoy healthy smoothies after a dynamic flow. She also runs a blog Yoga Foodie Girl which she uses as a tool to inspire others to uptake yoga and eat in a more mindful and wholesome way. Mellissa is an Integrative Nutrition Health Coach and creative chef. Her imaginative cuisine and style of cooking concentrates on whole, healing foods that focus on nourishing the mind and body while reducing inflammation. Hypocrates said “All disease begins in the gut” and Mellissa's approach closely follows this ethos which has enabled her to develop a way to empower and help others heal their physical and mental health issues. Her delicious food and inventive recipes run parallel with her approach to yoga and mindfullness. Mellissa's keen desire to help others through nutrition began with her own health issues, leading her on a self discovery journey through India, Bali, the U.S and Portugal. It was during this time she resolved the only way forward for her was to take her health back into her own hands. During this time she perfected the art of meditation, spending silent months in Indian Ashrams and following the teachings of Adyashanti and Mooji. With this well rounded knowledge and empathic approach to a holistic lifestyle, Mellissa will be offering one to one sessions during the retreat which will focus not only on diet but any possible hidden blocks that might be preventing you from living a fully enriched life. If you want to secure your place on this incredible retreat all you need to do is send a £100 deposit!